Following the finger injury suffered by Daniel Murphy, the Rockies have called up infielder Pat Valaika to fill his roster spot, according to Nick Groke of The Athletic. It’s expected that Murphy will miss several weeks with a fractured index finger, so Valaika, 26, will occupy a bench role for the foreseeable future. Ryan McMahon, though, looks to be the team’s first baseman in Murphy’s absence. Valaika has played all over the infield in his career and should replace McMahon as the Rockies’ reserve infielder, with McMahon sliding into a starting role while Murphy is on the shelf. Valaika has played in parts of three seasons for the Rockies, including a career-best 2017 season in which he slashed .258/.284/.533 with 13 home runs in 110 games. Though he scuffled to just a .460 OPS last season, he slugged 4 home runs in 49 spring training at-bats. Valaika should fill in capably while Murphy recovers, but the team will surely miss its big-free agent signing after he suffered injury just days into his Rockies career. The Rockies announced Tuesday that they’ve selected the contract of infielder Daniel Castro from Triple-A Albuquerque and optioned first baseman Ryan McMahon to Albuquerque in his place. To open a spot on the 40-man roster for Castro, lefty Zac Rosscup was moved from the 10-day disabled list to the 60-day disabled list. It’s been an ugly start to the season for the 23-year-old McMahon, who entered the year heralded as one of baseball’s best prospects but has been used sparingly in a crowded mix of position players in Denver. In 60 plate appearances over the life of 28 games, McMahon has batted just .180/.317/.200. McMahon looked to be in line for regular at-bats before Colorado’s late and somewhat puzzling deal to bring Carlos Gonzalez back into the fold. That signing pushed Ian Desmond from the outfield back to the infield and cut into McMahon’s playing time substantially. He’ll be in line for regular at-bats down in Triple-A, where he he laid waste to opposing pitchers with a .374/.411/.612 batting line in 2017, as he looks to get his swing back on track. Castro, meanwhile, will step into the infield mix and provide depth at multiple spots. The 25-year-old hit .217/.250/.265 in 239 plate appearances for the 2015-16 Braves but has enjoyed a productive run with Colorado’s Triple-A affiliate dating back to Opening Day 2017. Castro is primarily a middle infielder and should help to cover for the short-term loss of DJ LeMahieu, who went on the disabled list yesterday. He also has experience at third base should a brief need arise for any reason. There are no ongoing extension talks between A.J. Pollock and the Diamondbacks, Pollock himself tells Nick Piecoro of the Arizona Republic. Pollock hopes to remain with the D-backs long term, though like most impending free agents entering their walk year, he says he’s more focused on the upcoming season than his contract status. Arizona GM Mike Hazen offered little insight when asked about the situation, Piecoro notes. “It’s kind of tricky when you get into this range of time left, with a year before free agency,” said Hazen. “We’ll probably see where the year takes us. You never know.” As Piecoro highlights, there are some parallels between Pollock and newly signed Brewers center fielder Lorenzo Cain, who landed a five-year, $80MM contract this winter. And while Cain has been the more durable of the two, Pollock will enter free agency a year younger than Cain did. Kevin Acee of the San Diego Union-Tribune highlights the ongoing competition for the Padres’ starting second base job, which is currently down to Carlos Asuaje and Cory Spangenberg. Both have been impressive this spring, OPSing north of .900 in their small samples of work, but as Acee notes, there may only be room for one of them to make the roster. (Both have two minor league options remaining.) However, he does note that manager Andy Green’s tone on the matter has changed somewhat. After once characterizing the competition as an either-or scenario, Green took a softer stance Tuesday. “We’re not set in stone how we’re going to put the roster together all the way across,” said Green. “It’s going to be tough the way we’re currently constructed to carry both of them, but it’s not an impossibility.” The winner of the competition won’t have any time to get comfortable, though; as Acee notes, prospect Luis Urias is also looming and could debut early in the 2018 campaign as well. The Dodgers lost director of player development Gabe Kapler to the Phillies this season and also saw assistant director Jeremy Zoll take a promotion to join the Twins. Kapler’s replacement, former Rays reliever Brandon Gomes, isn’t trying to reinvent the wheel in Los Angeles and shares some philosophies with his predecessor, writes J.P. Hoornstra of the Southern California News Group. Hoornstra chats with Gomes about the point in his career at which he became interested in analytics and player development, as well as the transition from his playing days to more of an executive role. Beyond that, he takes a look at Gomes’ unique background and the 33-year-old’s ability to connect with the players he’s now working with on a daily basis. Patrick Saunders of the Denver Post tackles a number of topics pertaining to the Rockies’ offseason in his latest Rockies Mailbag column. Among the more interesting items of note, Saunders opines that Carlos Gonzalez’s days in Colorado are through, noting that it’s unlikely that he’ll receive a qualifying offer. 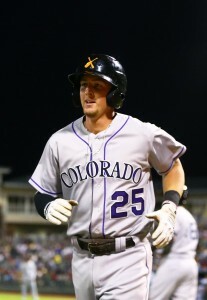 Saunders also notes that the ascension of prospect Ryan McMahon, who has been working out at second base, could also cloud DJ LeMahieu’s future with the club. LeMahieu is a free agent after the 2018 season, and McMahon has little left to prove in the minors. McMahon cut his teeth as a corner infielder, however, so it seems possible that the Rox could yet view him as an option at first base, where they’re currently a bit unsettled. Ian Desmond, of course, is an option there, though he could also be utilized in the outfield or elsewhere on the diamond (perhaps even at second base, speculatively speaking, though he has hasn’t played there since 2009 with the Nationals). Dodgers righty Yu Darvish reached out to Evan Grant of the Dallas Morning News with an unprompted message to praise Rangers pitching coach Doug Brocail and recently fired bullpen coach Brad Holman. As Grant notes, Darvish’s recent improvements and changed mechanics have led to criticism for his coaches with the Rangers. “…There should be no criticism of Doug Brocail or Brad Holman,” said Darvish. “They are both very good coaches without a doubt. They are also great people. I’m not the kind of person who lies, so please trust me when I say this.” Darvish goes on to explain some of the alterations that he’s made since changing teams and eventually comes back to the point that there’s “no major difference in coaching or philosophy” that has led to his rebound following his trade to Los Angeles. Following up on Evan Drellich’s recent report that Red Sox hitting coach Chili Davis will interview for the same position with the Padres, Dennis Lin of the San Diego Union-Tribune adds that the Padres have also interviewed four other candidates for the currently vacant post. Lin also notes that the Friars won’t bring infield coach Ramon Vazquez back to the coaching staff next year, though rather than making a new hire, his duties could potentially be absorbed by third base coach Glenn Hoffman. “We decided to go in a different direction to work with and lead our infielders,” manager Andy Green tells Lin. The Angels will be on the hunt for multiple relievers that can pitch multiple innings this winter, writes MLB.com’s Maria Guaradado. “I believe every bullpen needs at least two guys that can pitch multiple innings,” GM Billy Eppler said this month, per Guardado. “At least two.” Yusmeiro Petit excelled for the Angels in that capacity this year, tossing 91 1/3 innings of 2.76 ERA ball with 10.0 K/9 against 1.8 BB/9. Eppler wouldn’t comment on the possibility of retaining Petit, though it stands to reason based on Eppler’s outspoken interest in players of his skill set and Petit’s success in Anaheim that the team would at least have interest. 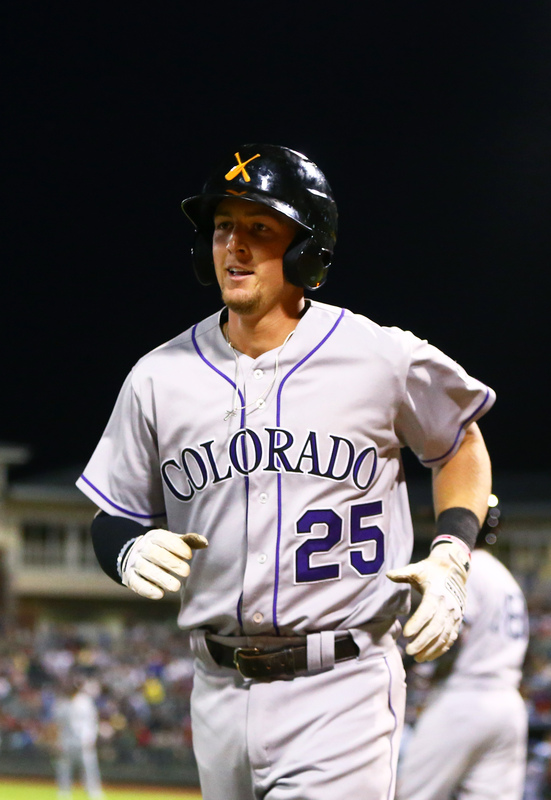 The Rockies announced that they’ve promoted infield prospect Ryan McMahon to the majors. In corresponding moves, the team optioned outfielder Raimel Tapia to Triple-A and designated left-hander Sam Moll for assignment. Colorado chose to select McMahon’s contract because of first baseman Mark Reynolds’ left hand injury, tweets Nick Groke of the Denver Post. McMahon’s primary position has been third base since the Rockies used a second-round pick on him in 2013, but the 22-year-old has seen plenty of action at first in recent seasons with Nolan Arenado holding down the hot corner in the majors. The lefty-swinging McMahon is the sport’s 64th-best prospect, according to MLB.com, while Baseball America has him at No. 91. MLB.com’s scouting report credits McMahon’s natural power, but the outlet notes that there are questions as to whether he can handle good pitching. McMahon has held his own offensively this year at Triple-A Albuquerque, though, with a .375/.409/.625 line in 269 plate appearances, to go with a .250 ISO and 13 home runs. His output has been a whopping 61 percent better than the Pacific Coast League average, per FanGraphs’ wRC+ metric. Moll, 25, joined the Colorado organization back in 2013 as a third-rounder. He hasn’t yet reached the majors, and has posted so-so Triple-A results in a tough league for pitchers over the past couple years. Moll threw 47 1/3 Triple-A frames of 4.94 ERA ball in 2016 and has amassed the same amount of innings this season. Thus far, he has logged a 4.18 ERA with 7.42 K/9, 3.42 BB/9 and a 50.3 percent ground-ball rate.